Says Indy Five Hundred is a sporting classic Says Indy Five Hundred is weird!! Potential mates must be NASCAR fans. Alternative: Potential mate must be deaf so that they cannot hear you cheering loudly from your armchair. Blind so they cannot see the overwhelming volume of race paraphernalia (anyone else have diecasts that aren’t “allowed” in the living room?). Mute so they cannot interrupt a race broadcast at the most inopportune moments. Before you ever go out with a potential mate, find out which driver she-he supports. Note: Daytona USA commercial. Ricky Rudd and Rusty Wallace fans cannot co-exist happily in the same space. All the better if you support the same driver. The couple that cheers together, stays together. 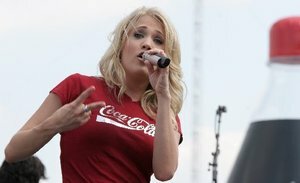 If you’re a NASCAR junkie, make sure your potential mate is, too. Lesson: Walk the walk, talk the talk. Hearing “Why are they driving down that road there?” as the cars come down to make a pit stop is not acceptable. Shoot, it’s not even mildly amusing. Ensure that your potential mate has complementary, not duplicate, subscriptions to the essential racing magazines. Example: You bring NASCAR Illustrated, Racing Milestones, and The Sporting News to the table. 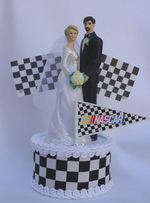 Your ideal mate brings Speedway Illustrated, Stock Car Racing, and Circle Track to the relationship. Rules: No weddings, birthday parties, BBQs, baptisms, or other such obligatory events on race day. No races will be skipped to attend such events. 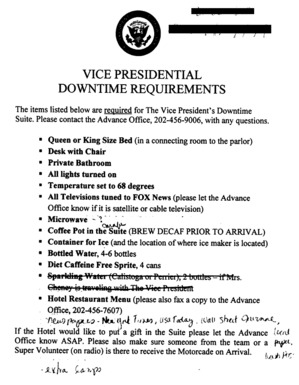 (If your presence is required at such an event, mate must know that you will bring a portable television, radio or whichever other device will keep you properly informed.) As a NASCAR junkie’s mate, if you hear breaking news about my driver(s), team(s), or NASCAR in general, your responsibility is to immediately alert me to said news. There is no talking during race broadcasts. And yes, you will have to learn to live with iNdemand on one TV, network broadcast on another TV, and MRN providing the play-by-play. Racing will be celebrated throughout the home. Examples: Diecast collectibles will be displayed wherever appropriate and will not be restricted to one room. Framed lithographs, posters, or tickets will serve as a nice welcome in the entryway to our home. Document ownership of the racing collectibles and/or tickets before you co-habitate. Lesson: Jenny wound up with Jack’s Loudon tickets after they parted ways. Jack now anxiously awaits for that three- or five- or however-many-year waitlist to make any movement whatsoever so that he can once again have his own tickets. Establish Racing Holidays right away. Calendar: Any races you’re planning to attend in person. Daytona 500 – from Bud Shootout to Twin 125s to the race itself. Bristol night race. Talladega (x2). Pepsi 400 in Daytona over the Fourth of July weekend. The Winston. Both Charlotte night races (as of 2003 season). Please note that these holidays will be celebrated like any other – with no yard work, household chores, or errands done during these revered occasions. If entertaining during these events, casual, informal, SuperBowl-style parties will be in full effect. The more, the merrier. Understand that healthy debate about racing is never considered arguing. Lesson: Enthusiastic discussion about the latest racing news – be it Tony Stewart, Silly Season, or your favorite driver's media over-exposure – is not an argument. It is a healthy exchange of your shared obsession. And if you have different points of view, all the better. Live, love, and laugh. And never go to bed mad. Absolutely no wedding can take place on the weekend that a race is in town. And if the wedding is during the season, I’m sorry, honey. There will be a big screen TV at the reception tuned into the race. Kurt Busch made a $1 million donation to the Victory Junction Gang Camp at Lowe's Motor Speedway in Charlotte on Friday. I still don't know any KB fans. Pull Up Your Socks, Michael! 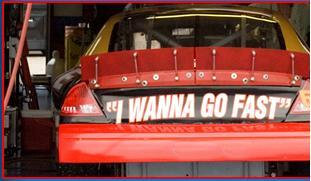 There are a few drivers outside of the top 35 that really should borrow this decal for Darlington qualifying, from Ricky Bobby of "Talledega Nights", right Michael Waltrip?